To fly is a dream we all have fostered since childhood. Be it looking at the birds soar up in sky or watching superman on telly, saving people, flying by. Sadly my decision to go paragliding wasn’t nestled in something so poetic but in the fact that heights scared the living daylights out of me! As someone who thrives on wanderlust, fear of heights was something unacceptable to me. I wasn’t going to deprive myself of the breathtaking views from the Himalayan Mountains! And so I found myself at the Temple Pilots HQ in Talegaon, ~120 kms from Mumbai. Having arrived a day earlier, I had the entire day to soak in the awesome vibe at the Temple Pilots base. Situated at Lake Paradise housing society, very close to Talegaon Station, four bungalows, a fabulous team and one adorable dog is what makes up Temple Pilots. All my research and calling up several schools to finally zero in on Temple Pilots was totally worth it! A Magical Evening, With Nothing but Birds for Company! 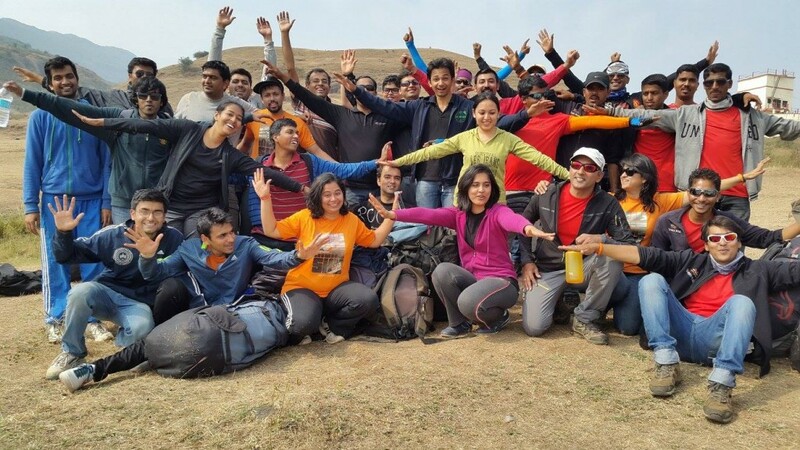 The course is conducted at the flying site called ‘Training Hill’ obviously derived from the fact where folks came to be trained in paragliding. Day 1 we were briefed on all the paragliding gear, explained how it functions and then went on to ground runs. Ground runs are exercises that give you a grip on how to inflate a glider, gain control and pick up speed for a smooth take-off. What follows, is hops. Hops are basically flights from half the height of the hill; this is for one to learn the take-off and landing techniques and maneuvering while in the air. Once a student has had a few successful hops, that is smooth take-offs and landing on the feet (and not on the derriere, an experience I had several times) one can go further for the much awaited solo flights from the top of the hill. There course is spread over three days, a day for each: Ground Runs, Hops and Solo Flights. But most often students take their first flights on day 2. The Temple Pilots HQ is one chill place where the days start early with breakfasts and briefings at 7 am; post which everyone is off to respective flying sites until lunch. By lunch hour it’s all hustle-bustle again with hungry stomachs and happy hearts (from all the FLYINNGGG). Lunch is followed by debriefing where we discuss our learning from the day. There are usually a few theory classes after. Once all of this is done, Temple Pilots is one big party, from highly competitive volley ball matches, super creative dumb charades and highly animated games of taboo; evenings are full of chatter, laughter and glee! Awesome home cooked meals cooked by Kaka, lovely company of the fun loving instructors and most importantly all this over-looked by Avi and Anita the very passionate founders of this school. Avi and Anita have been running Temple Pilots for 17 years and are the heart and soul of Temple Pilots. Let’s not to forget Spikey – The pet dog and the Boss of everything! I truly believe, one mustn’t indulge in any adventure sport to prove a point but for the sake of the experience. That is was I got in these 4 days, an experience of a lifetime. Temple Pilots is very close to Talegaon Station, you can get a rickshaw for 50 buck to take you from the station to Temple Pilots. The accommodation (dorm) plus all meals (home cooked) inclusive will cost you about 1000/- a day. There are 3 levels to the Paragliding learning experience: P1 introductory course, P2 Novice course and Certification course. You can either do the 10 day course at a stretch or you can do the courses in a split form (P1-P2-CC). Digital Media Professional, CSR Enthusiast; Traveler and Photographer by heart; Writer & Book-worm by hobby! 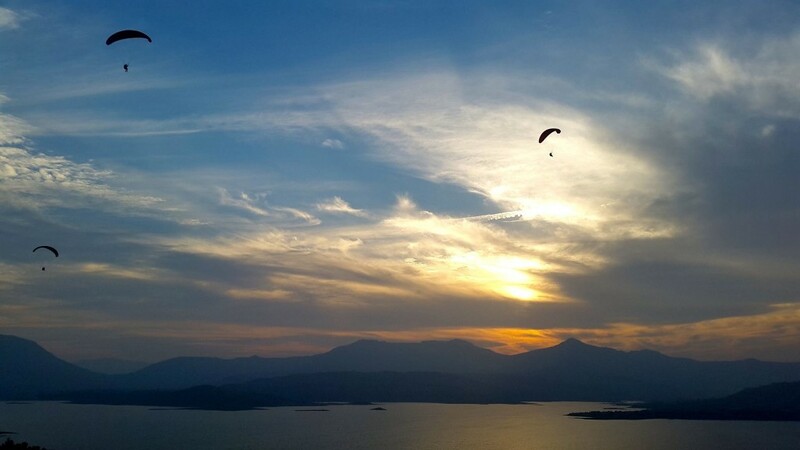 Paragliding is a wonderful adrenalin pumping activity packed with excitement. I am sure you had a great experience flying free as a bird in the blue skies, literally floating like a cloud.